A bachelor party is about having a good time. The traditional stripper or bar-hopping event isn't for everyone, but not all bachelor party ideas need to involve these risqué activities. Choosing the best bachelor party isn't about having the hottest entertainment, it's about knowing the groom-to-be and celebrating him as he makes ready to walk down the aisle. Never force physical contact onto anyone, nor encourage a dancer to do so. Let the guest of honor decide how far the fun goes. Avoid wisecracks and disparaging comments about a groom who doesn't want to participate in the activity. Have alternative ideas available if the entertainment does not go as planned. Poker Night: Themed accessories can create an entire poker party venue, and watching poker championships while playing with friends can be a great way to relax at home. Casino Trip: Traveling to a casino can be a long bachelor party weekend including different gambling activities, good food, and other entertainment. Sporting Events: A skybox or suite is a great location for a sports-themed bachelor party, complete with catered food, excellent views, and other spectacular service. Movie Night: Guy-favorites such as the Matrix, Die Hard, and other action movies can be the focal point of a cinematic bachelor party, including nachos, pizza, and other movie snacks. Homecare Party: While it may not seem like much fun, gathering all the groomsmen together to help with lawn care, washing the car, and doing minor home repairs can be an opportunity for horseplay and casual fun, and it's a great help to the groom-to-be to have these chores taken care of before the wedding. Sportsmen Event: Whether it's a day of fishing on a nearby lake or hunting in the backcountry, enjoying sportsmen activities together is a great way for the male members of the wedding party and close friends to bond before the big day. Playing Sports: A touch-football game, round of golf, pool tournament, paintball challenge, or day at a baseball training camp can help work off nervous energy and enjoy good friends for the soon-to-be non-bachelor. Food Party: A beer-and-bratwurst party, chili cook-off, or ultimate barbeque feast is a great way to indulge in delicious food and celebrate the groom-to-be with his favorite foods. 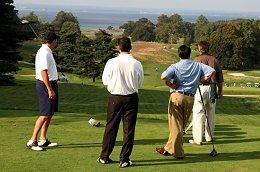 The key to creating a great bachelor party is more than just having an appropriate idea. Without proper planning and attention to detail, even a seemingly easy event can prove to be a challenge. Food: Provide different items to suit different tastes, and be aware of possible allergies. Drinks: While alcohol is often preferred, be sure to offer alternatives and limit consumption to avoid problems or hangovers, particularly if the wedding is the next day. Decorations: Even a simple party needs decorations to set the mood, and the classic ball-and-chain is a staple for bachelor parties. Party supply stores can usually provide all the items for themed parties in one convenient location. Cleanup: Paper plates and throw-away tablecloths make cleaning up a breeze no matter what the theme of the event. Invitations: When inviting guests, be sure the invitation specifies what they can expect so no one arrives with misconceptions. The timing of a bachelor party is critical. While traditionally they are held close to the wedding, choosing a date a week earlier can help eliminate rushing through the celebration or being interrupted with critical wedding details. Be aware that guests from out-of-town may not be able to attend an earlier event, however, and the timing should be a careful balance of practicality and convenience. 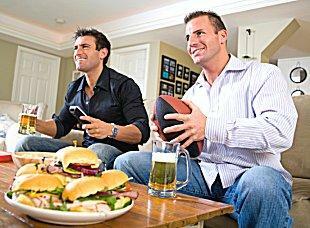 Regardless of which bachelor party ideas are chosen, the key is to have fun. Enjoy the event as a celebration of the groom and his impending marriage, and the bachelor party can truly bond the men together as they share this joyous occasion.